Call of Duty: Black Ops 4 Battle Edition is a new version of the game that includes standard multiplayer and Blackout, but not Zombies. This PvP-only edition is currently available for half the price of the regular purchase, and only on PC. The $29.99 USD (£27) tag is an “introductory price” that will increase to $39.99 (£35) on January 9. Battle Edition includes multiplayer and Blackout without restrictions. There’s no limit on what you can play or who you can play with, as this cheaper edition will naturally remain fully compatible with existing copies on Battle.net. The only things you’ll be missing out on – aside from Zombies – are the 1,100 COD points and bonus items that come with the digital standard edition. If you want to upgrade to get at Zombies mode and those other bits, you can purchase an upgrade to the standard edition at any time. Even after the starting price goes up next month, that’s still two thirds of the price for two thirds of the game. If those are the pieces you’re interested in, that’s a solid deal – especially with the knowledge that upgrading is an option. Check out our Black Ops 4 PC review if you’re still on the fence about this – it’s a great iteration on the series that gets even better with battle royale. 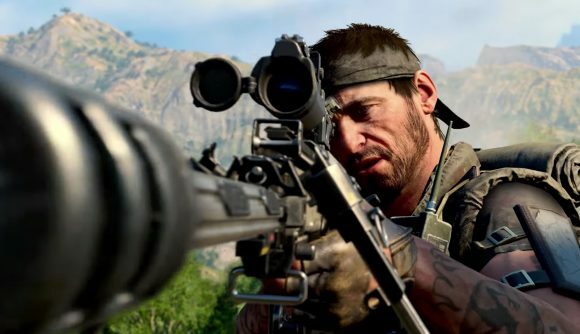 We’ve also got guides on how to unlock Blackout skins and picking the best Black Ops 4 classes, so if you’re just getting started you know where to look. You can find plenty more info on the latest Blops here, so stick around.